Humans are, of course, competitive beings by nature, that much has become evident over the past thousands of years of wars, sports competitions, and battles of the minds. The winner of any of these receives glory and a significant boost to their pride, as they will be known as the very best. When it comes to the more unusual competitions, however, we’re unsure if these people actually want to be considered the greatest around. They probably take pride in what they are doing, though. Here are ten of the strangest competitions you’ll ever hear about. The art of shin kicking has been used by children as a way to combat bullies on the playground for centuries. 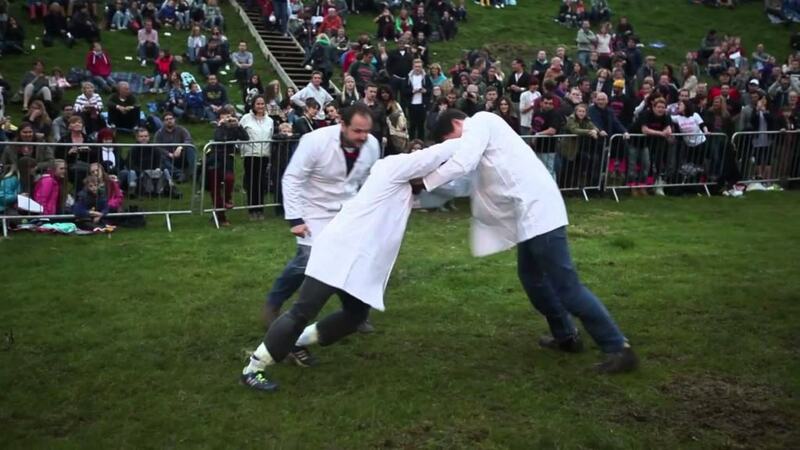 But ever since the 17th century, the common people have turned it into a brutal sport for festivals in England. Every single year at the Sensoki Temple, Tokyo, a contest is held between babies to see who can cry the most. Two student sumo wrestlers are forced to hold the crying babies in their arms and bring them to tears simply by making faces. While not a traditional contest, the insect eating that occurs at Ben Siegel Reptile Store in Florida each year is mostly for publicity. 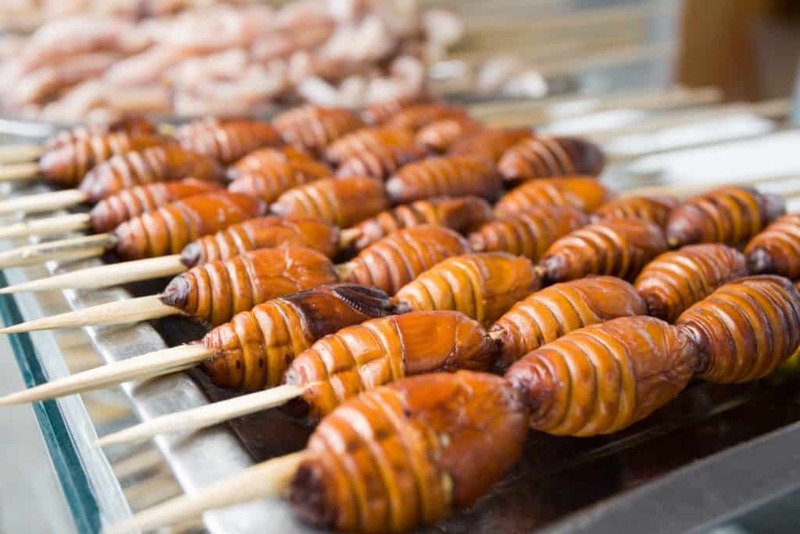 Those who eat the most insects in a single sitting are awarded a new python to bring home and care for. 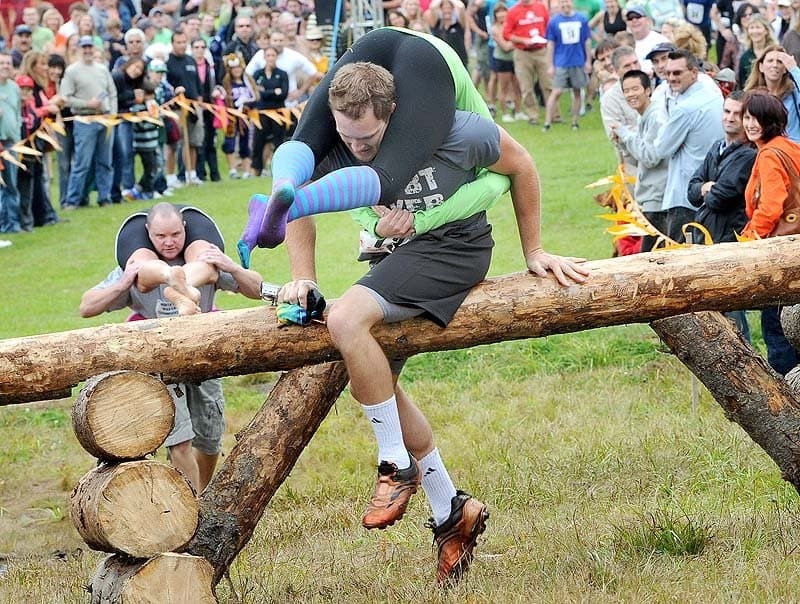 Every year, Sonkajärvi, Finland, hosts a competition to see which man can carry their wife on their shoulders across a large obstacle course within the fastest time. Each course has wooden fences and boulders, and even a watered down expanse to wade through. 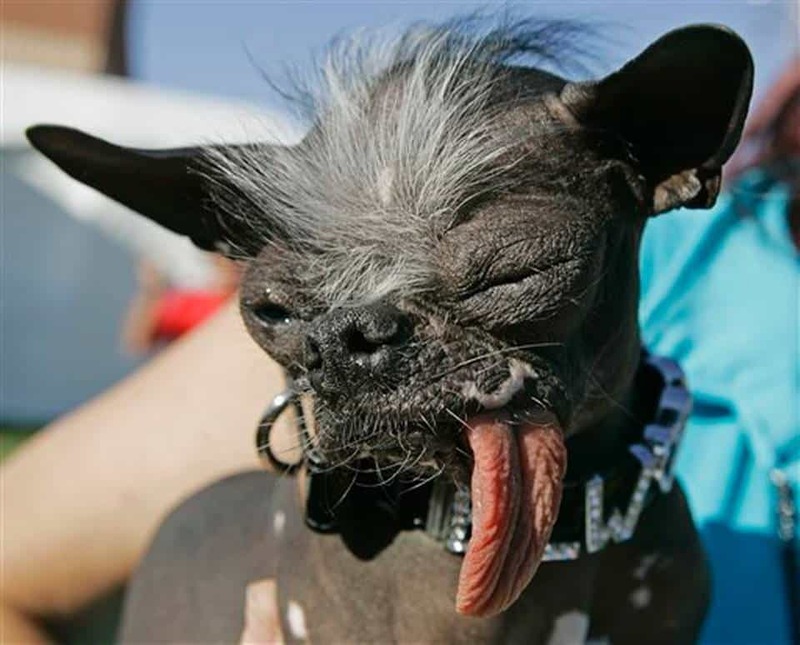 The price for being the ugliest dog in the world is definitely not a prideful one, though they do win a nice supply of dog treats and the owner obtains $1,000. That isn’t the largest amount of money ever, but people love showing off their pets. 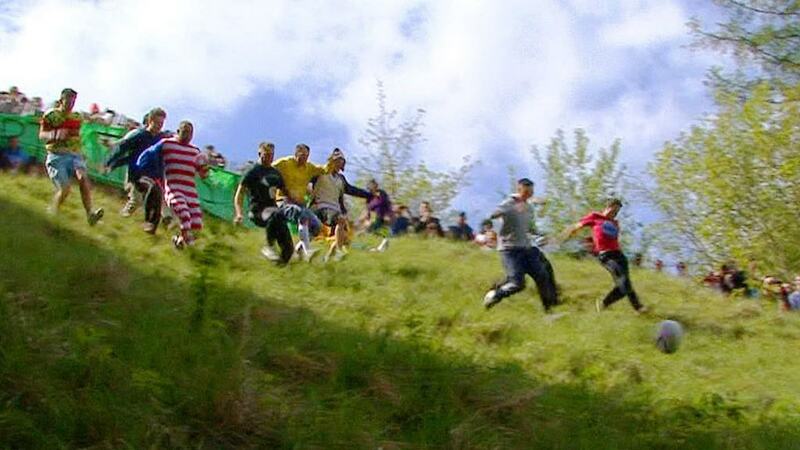 Each year in Gloucestershire, groups of people come together to roll a wheel of cheese down a massive hill. The first person to reach the bottom finish line, grab the cheese, and then climb back to the top wins the wheel for themselves. 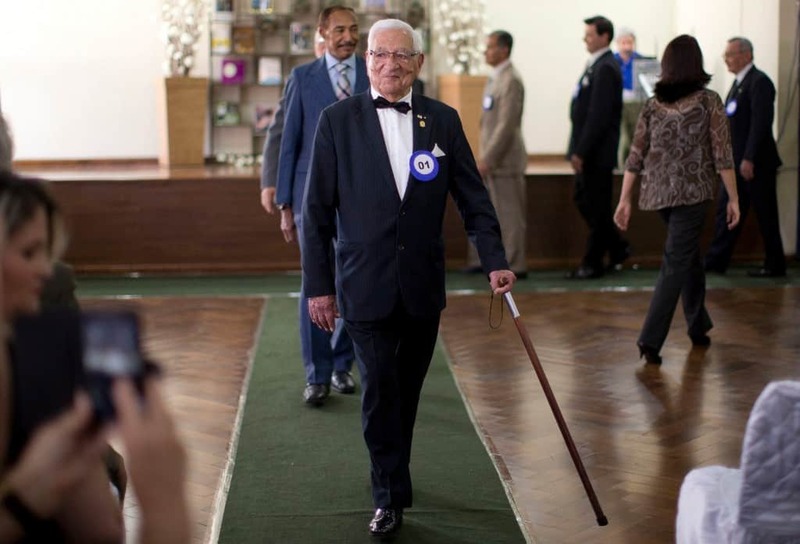 In Brazil, the question of who has the most handsome grandfather takes place during the Mr. Elderly Beauty Contest. Each contestant has to be over the age of 60, and there are several rounds, including smiling and dancing. 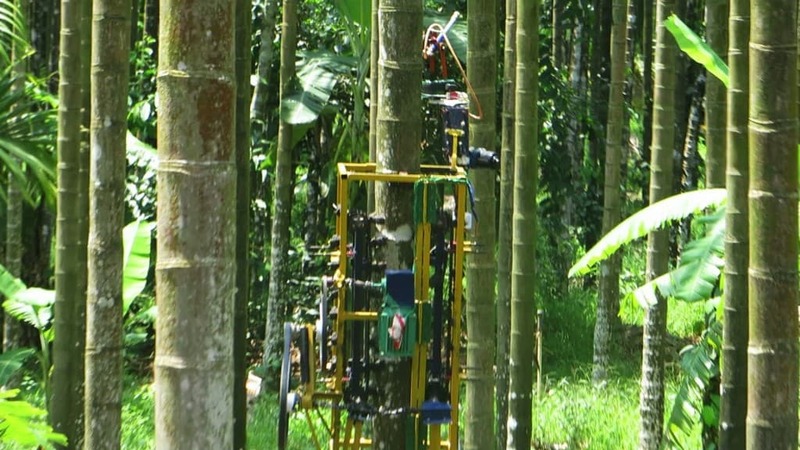 In Bali, the people celebrating the Indonesian Independence Day hold multiple contests, one of which involves climbing specially erected poles created from the trunks of Areca nut trees. To ensure it is more difficult, the trunks are greased up. 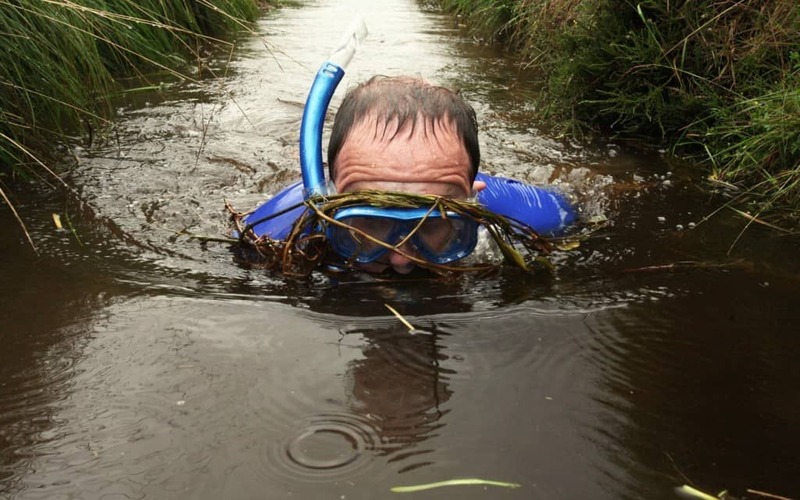 Ever since 1985, in Wales, the Bog Snorkelling Championship occurs in the peat bogs. The bogs are filled with dank water loaded with particles of peat. The contestant must snorkel their way through the bog to the other side. 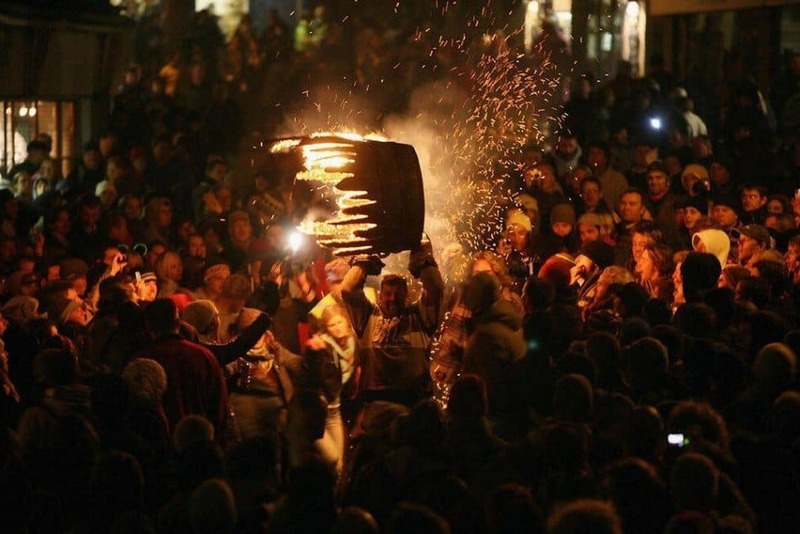 Each year, the village of Ottery St. Mary proves how strong and daring they are by carrying barrels. The barrels are soaked in tar for weeks beforehand, then carried on someone’s back and lit on fire at the same time.